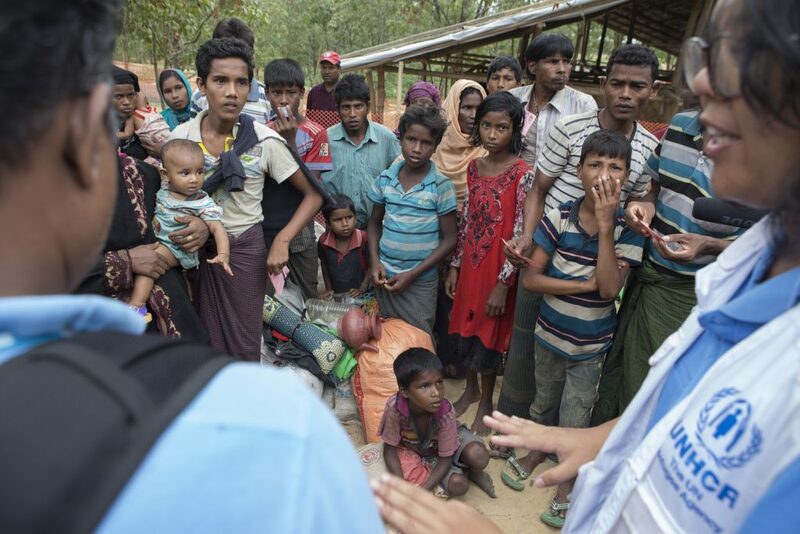 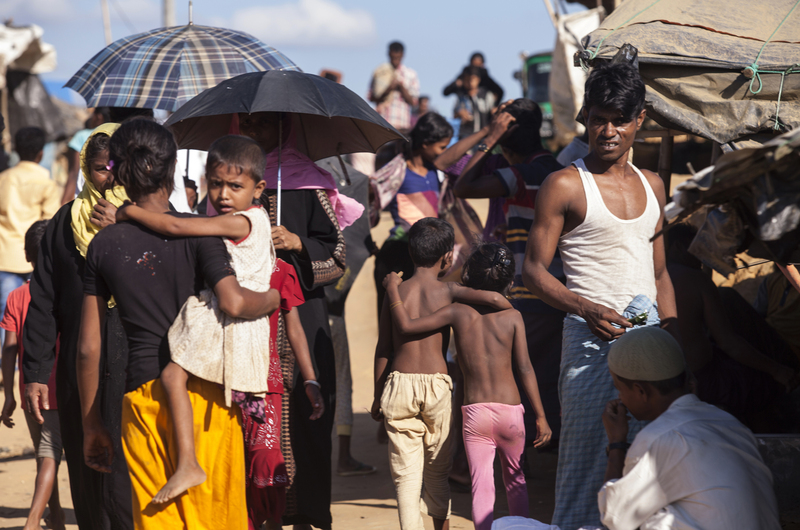 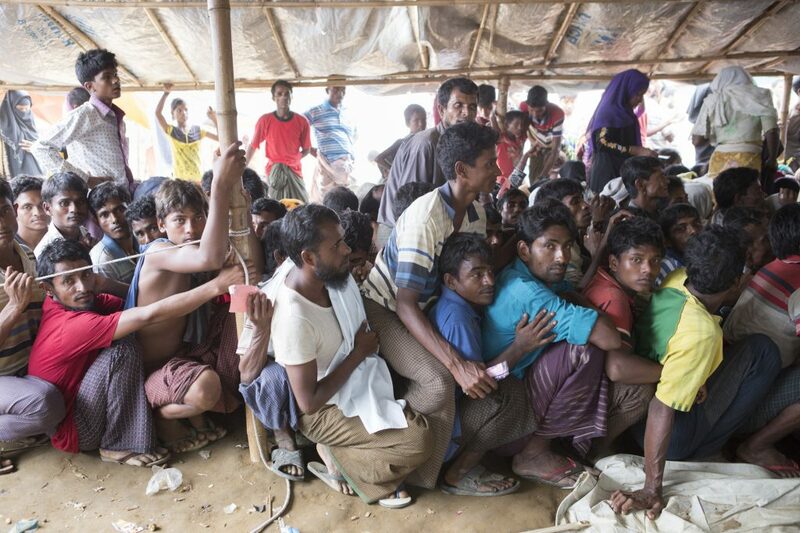 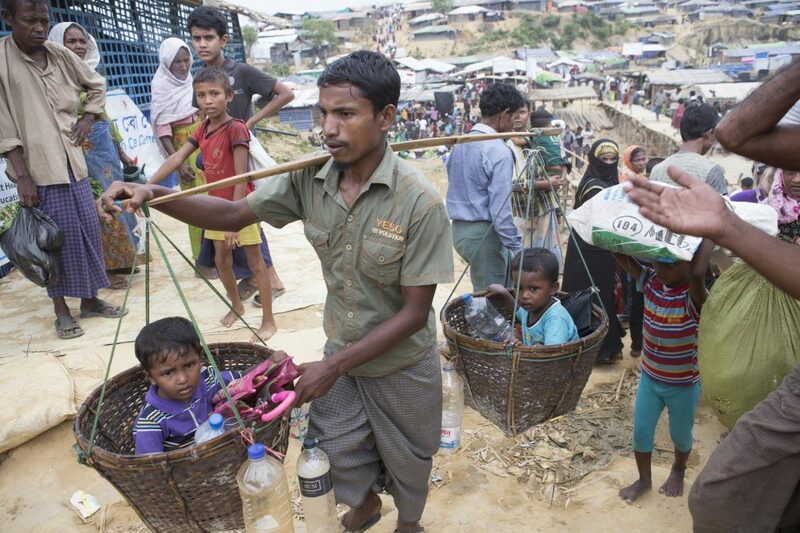 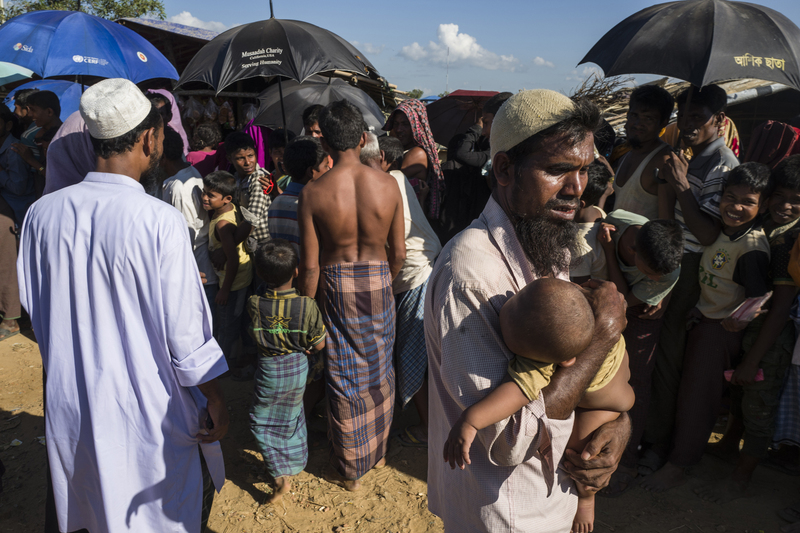 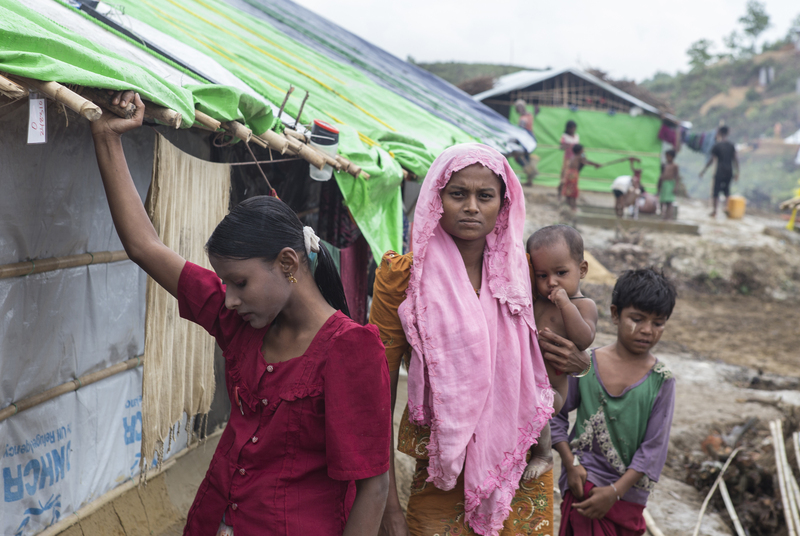 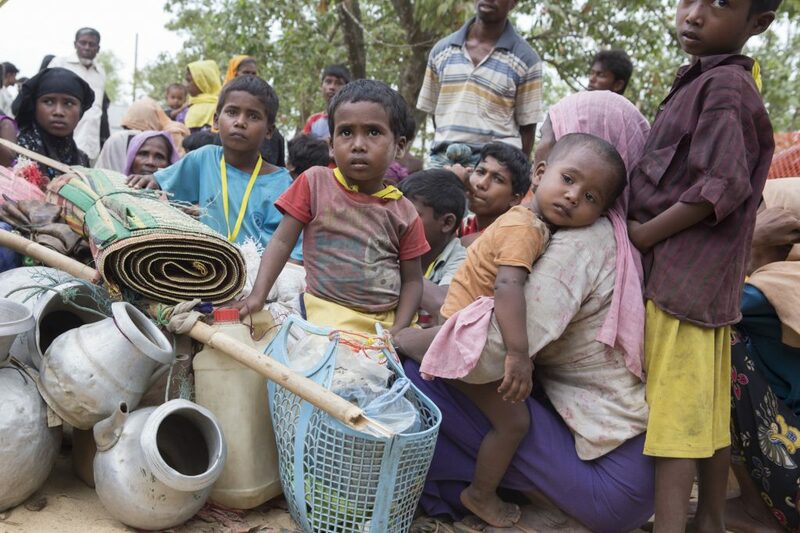 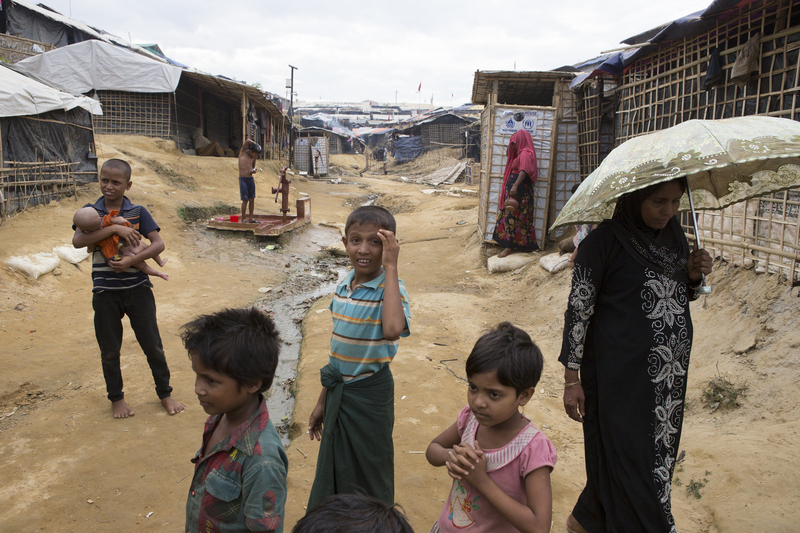 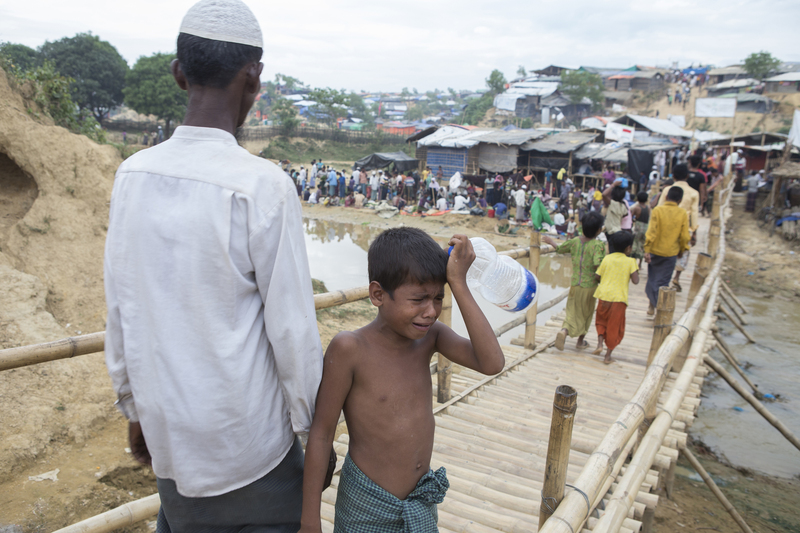 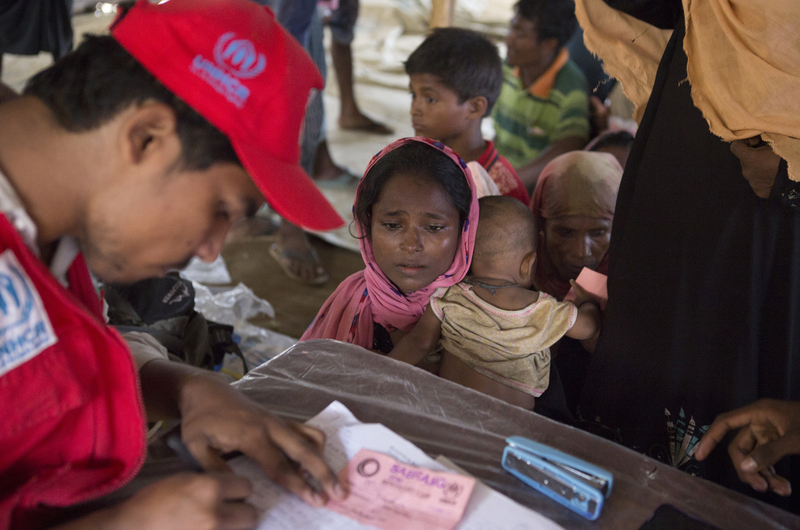 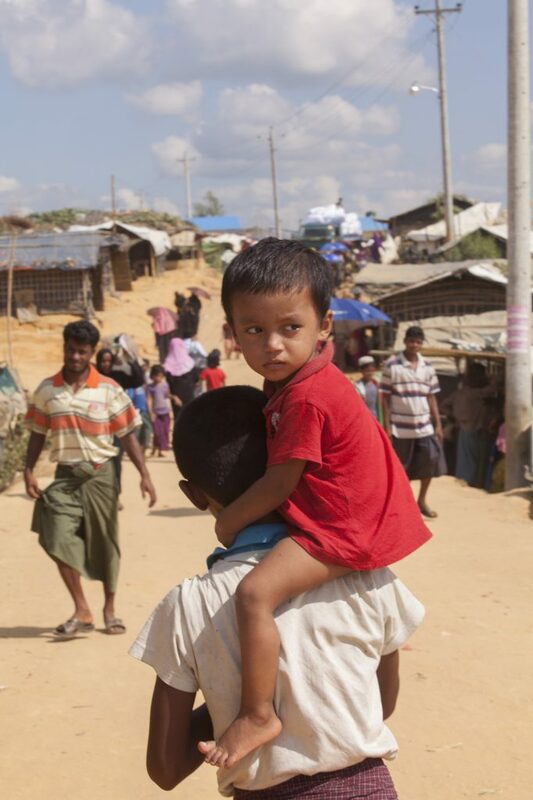 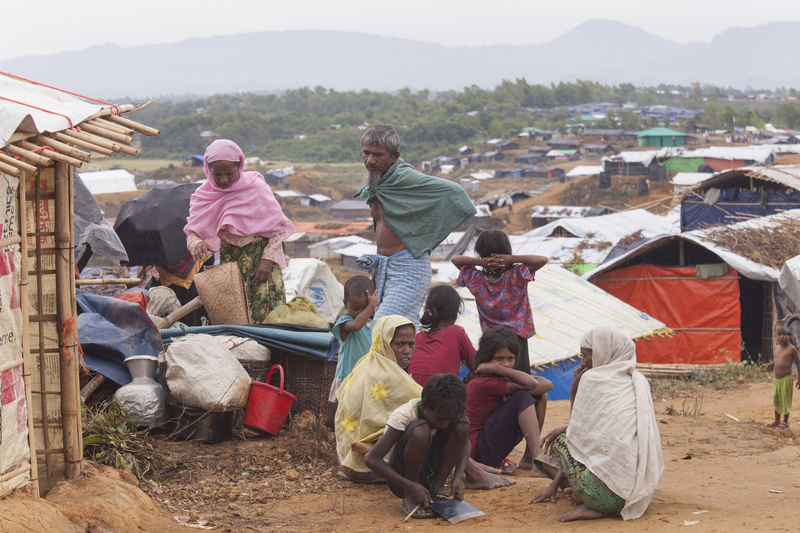 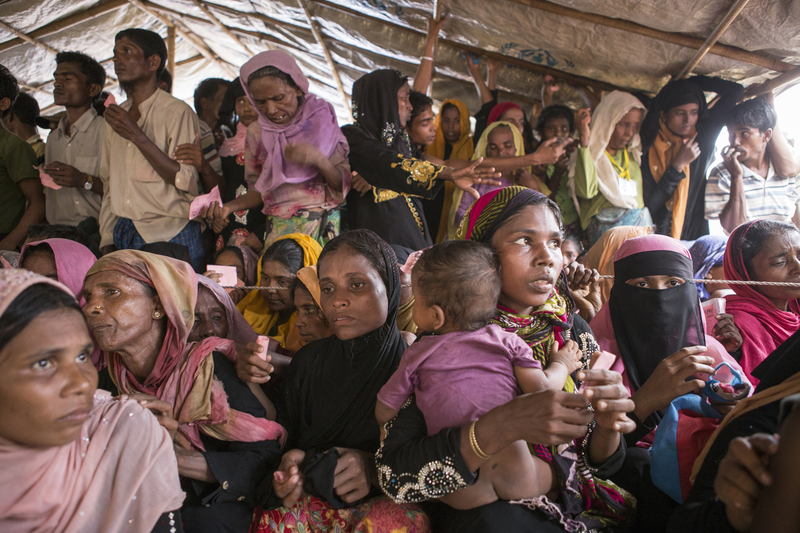 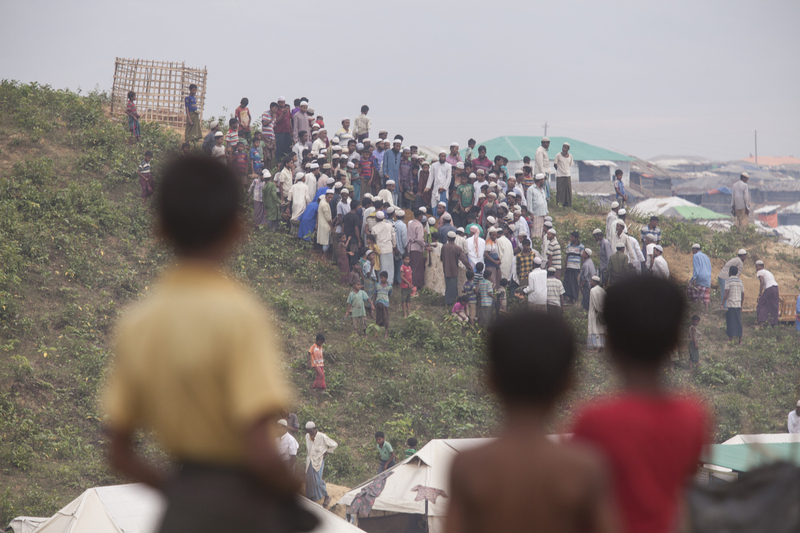 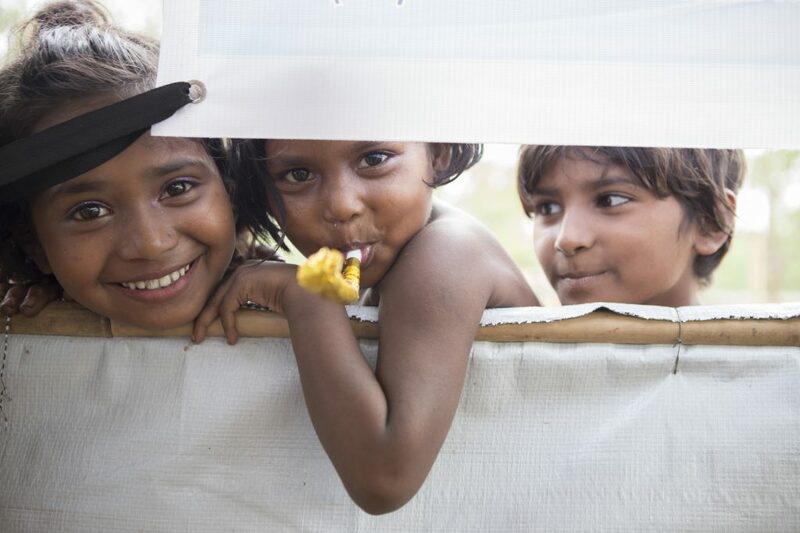 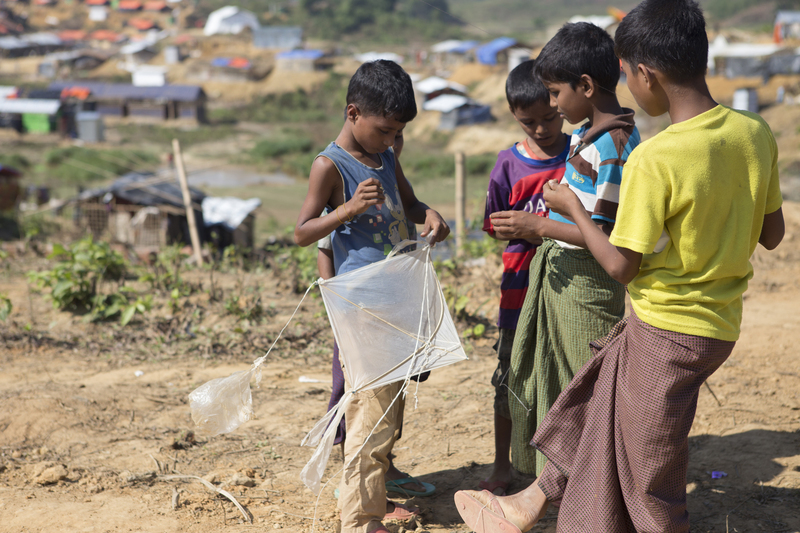 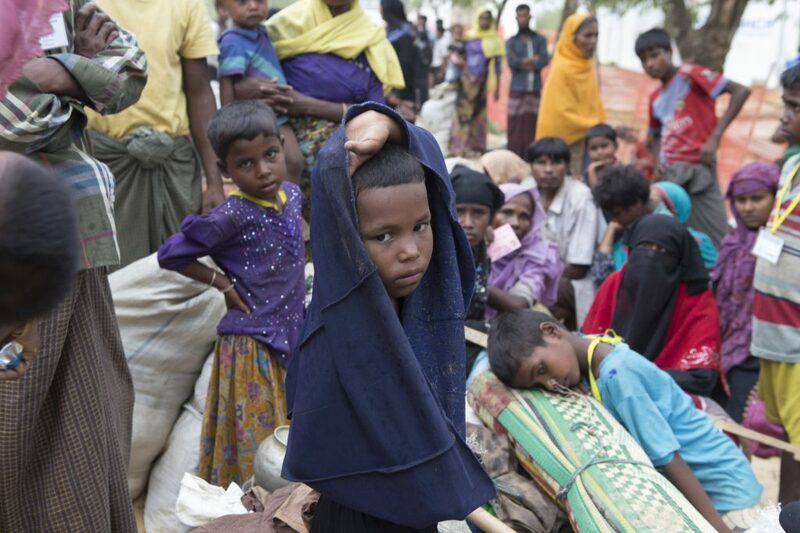 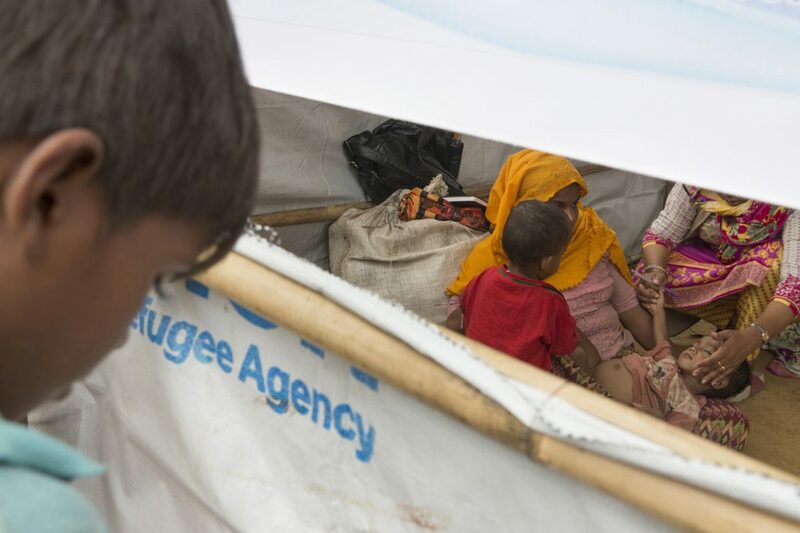 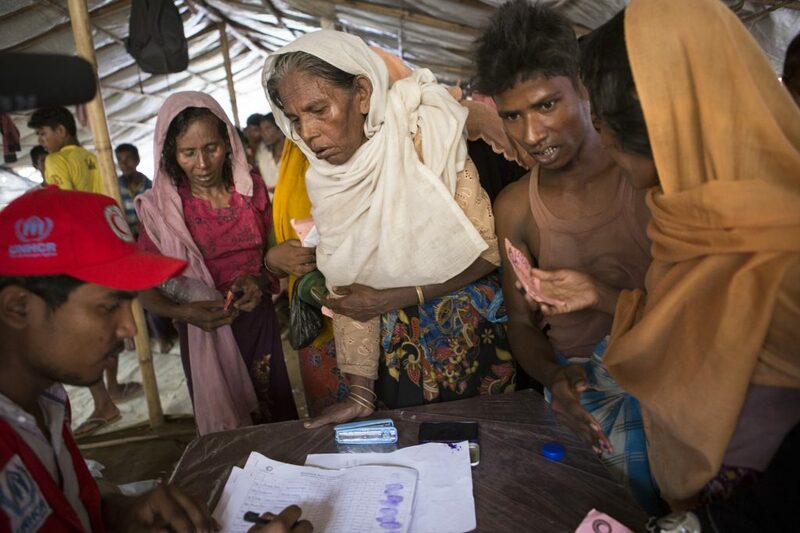 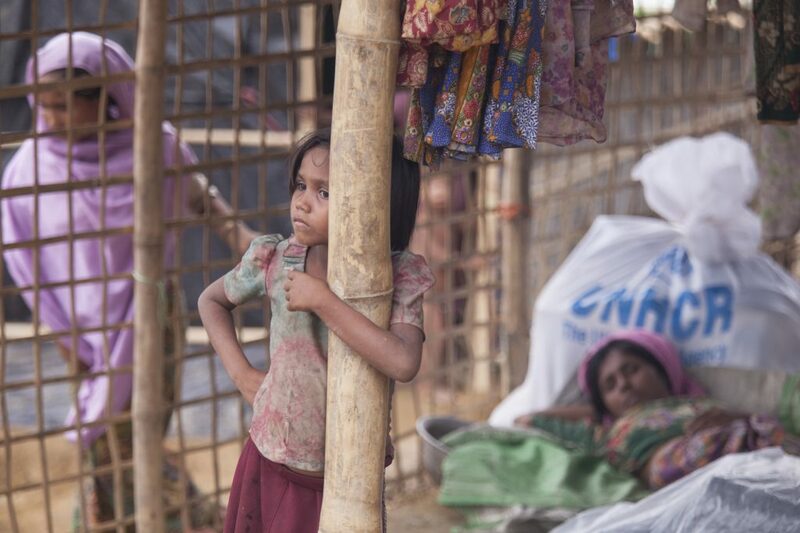 ROHINGYA REFUGEES RE-BUILD THEIR LIVES IN THE CAMPS OF COX’S BAZZAR. 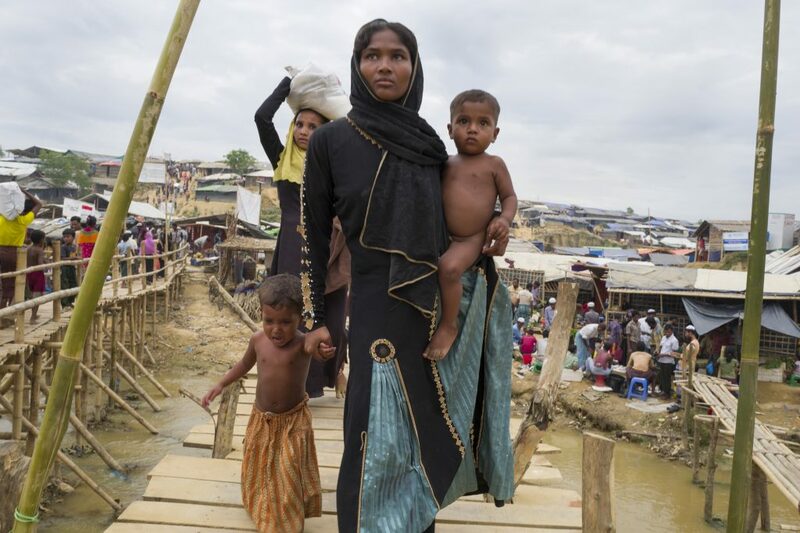 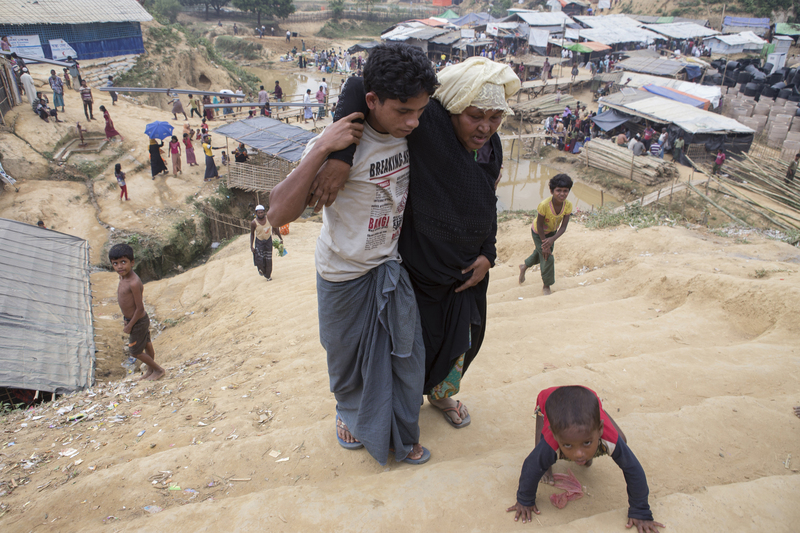 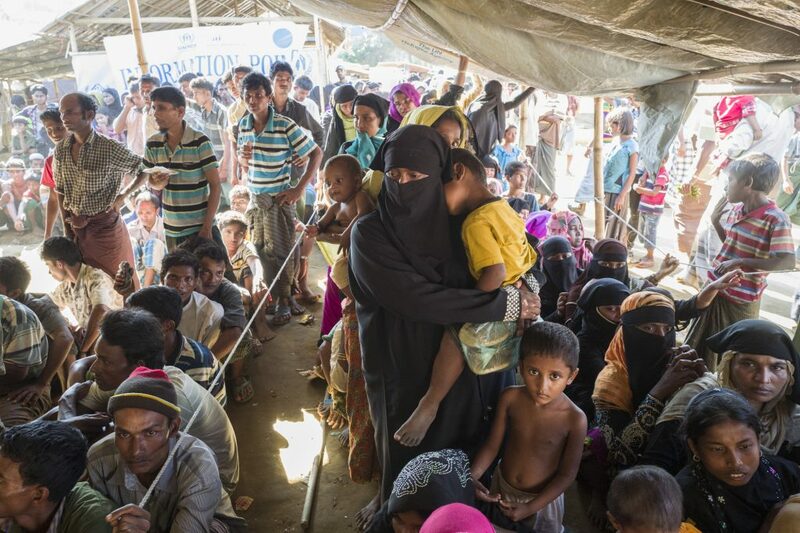 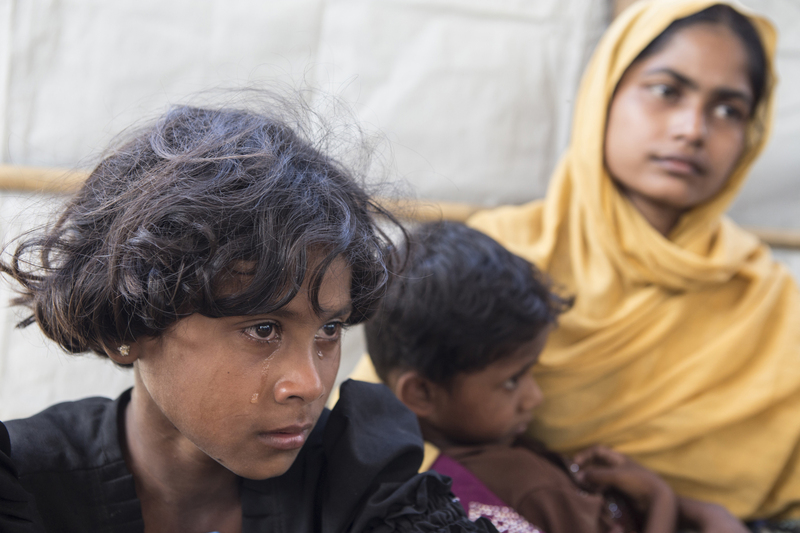 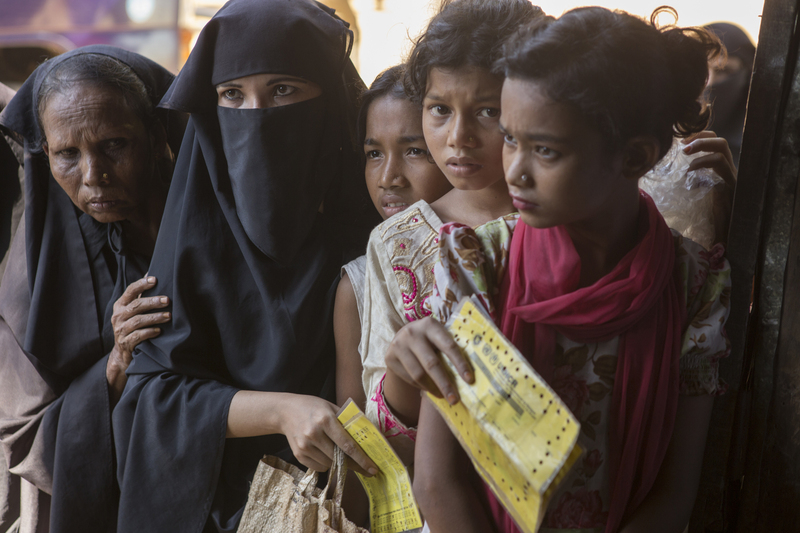 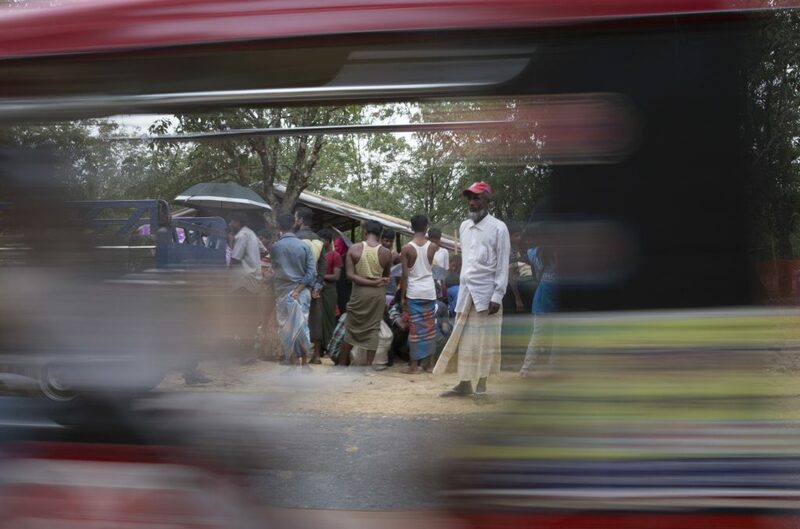 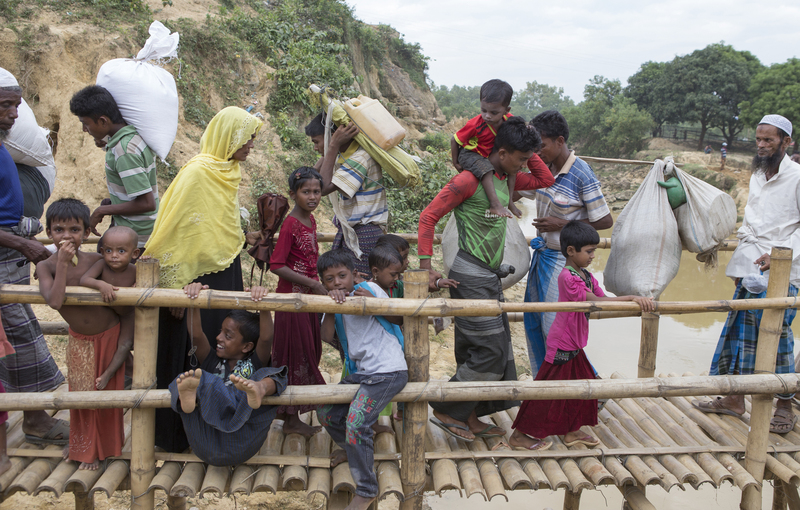 Despite hundreds of thousands of Rohingya people fleeing the horrific violence in Myanmar back in August 2017,; months later, hundreds of Rohingya refugees were still arriving every day from the Bangladesh border, where after a day’s trek, the exhausted,and traumatised people – over half of whom are women and children – would then wait by the roadside, in order to be processed at specially constructed transit camps. 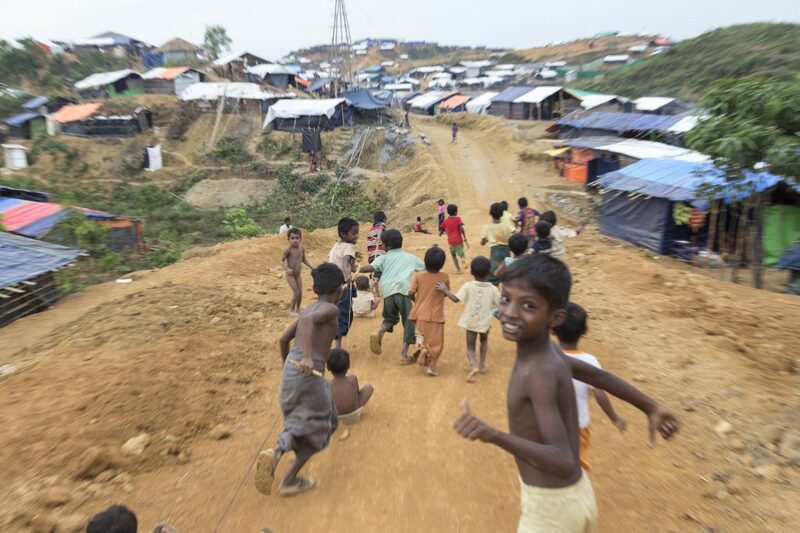 Here, the most vunerable would stay and be cared for by medical workers, whilst the able-bodied would make the 2 hr walk to the vast tented settlements on the rolling hills of Cox’s Bazaar. 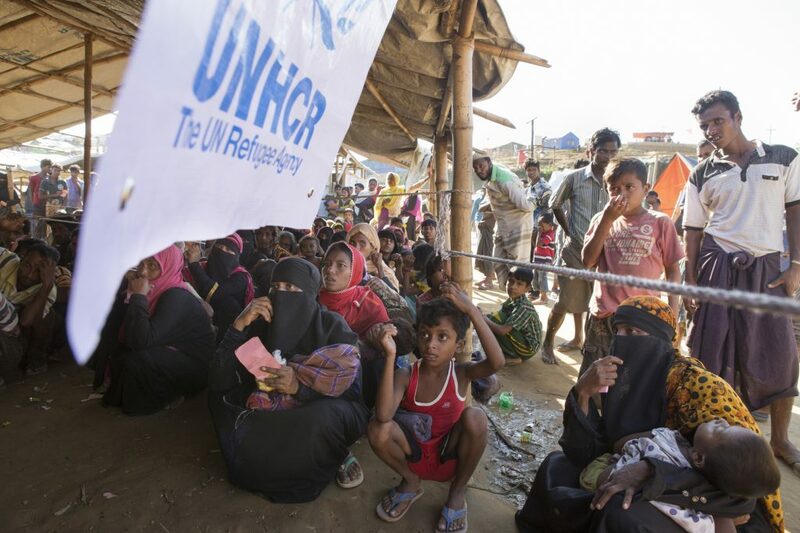 Once inside the refugee camps, they are supplied with essentials given to them at distribution centres by organisations such as the refugee agency UNHCR. 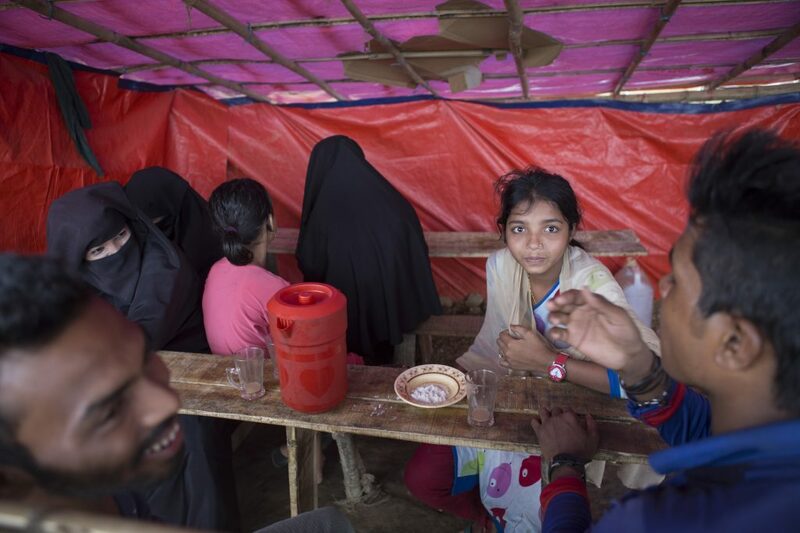 Having been assigned the shelter that they can now call their home, these resilient people waste no time in re-building their shattered lives.